--High Power and High Quality! 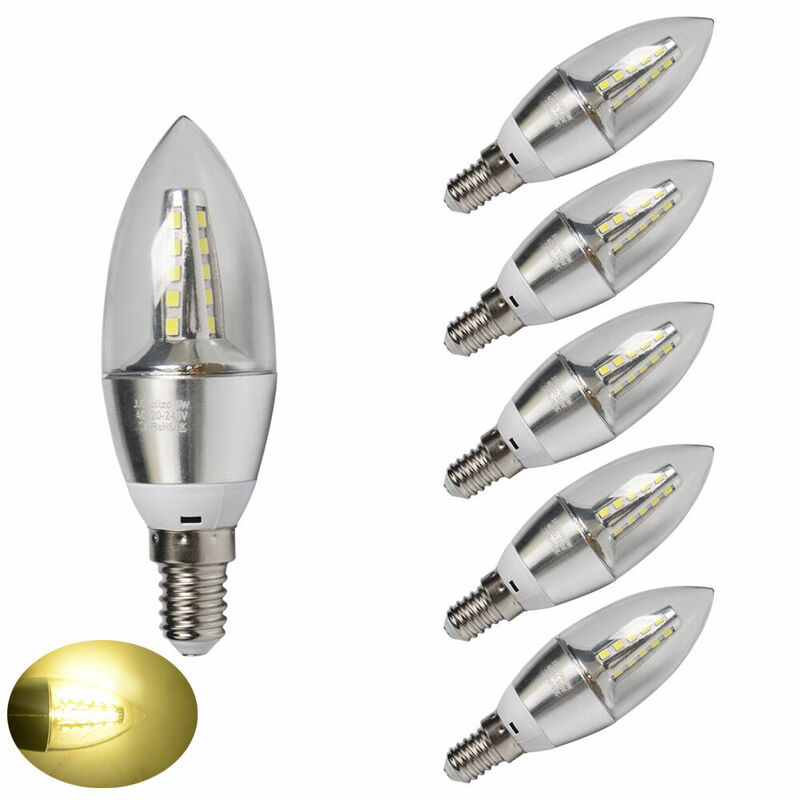 Our bulbs candle shape lights bulbs feature High Power SMD LEDs (highest quality chip) with a frosted cover which produces a great light output. --They are aesthetically and intelligently designed to significantly reduce energy consumption by up to 90% and deliver long life. --performance:matching and incredible maintenance free 25,000 hours of use. --a huge wide beam angle of light. 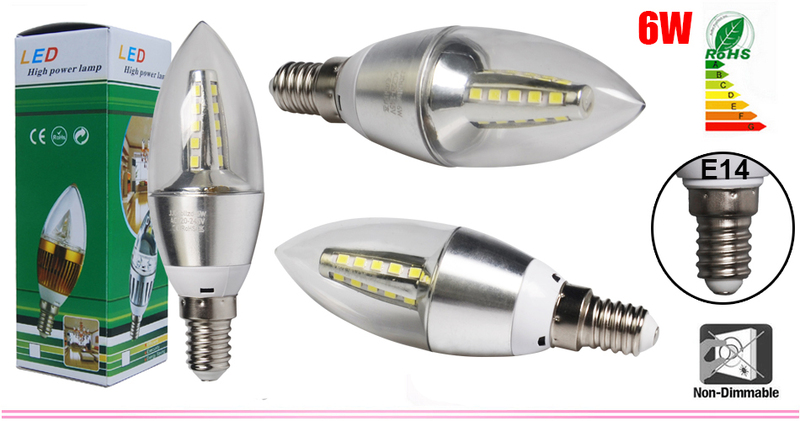 It is designed to give the widest beam angle of any SMD bulb on the market. 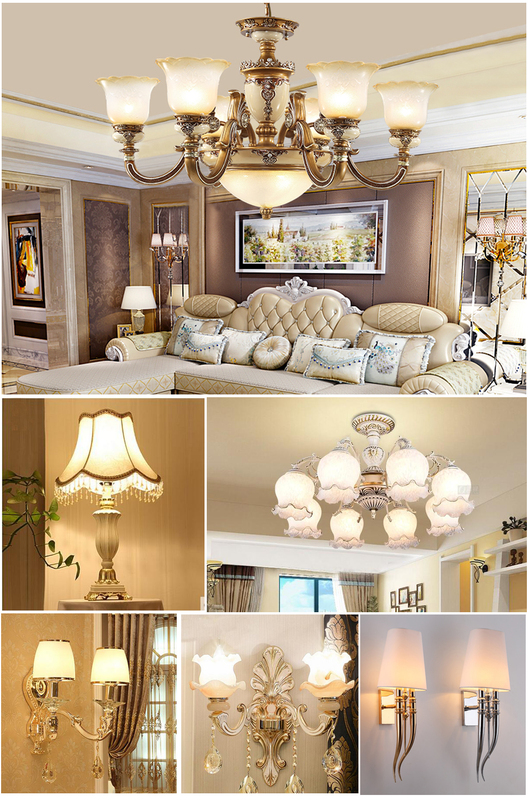 --Perfect for the indoor lighting, such as home, bedroom, living room, hallway, hotel, kitchen, studio, restaurant, hotel, library, KTV, meeting room, show room, shop window and many other application lighting and so on. All our bulbs have been designed to directly replace your old halogens, it truly is as easy as changing a light bulb! As well as having identical fittings, LEDs can also offer you the same level of brightness as your current bulbs. 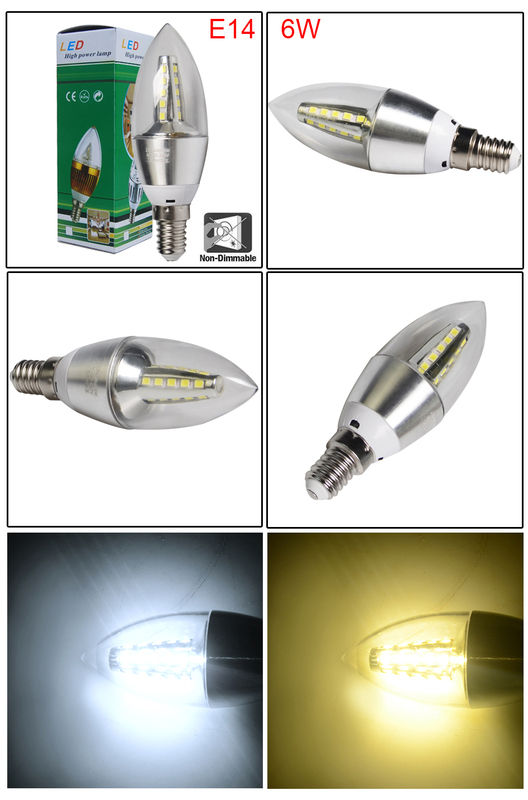 LED bulbs are available in 2 different colour temperatures: Warm White (often used in living areas and gives off a softer glow) and Cool White (often used in kitchens and bathrooms). What about my existing dimmer switch? Typically the majority of leading edge dimmer switches have a minimum wattage of 60W, which is far too high for dimmable LED bulbs. This is why you need an LED compatible dimmer switch when you purchase your bulbs. Please note that our lamps will not work with touch or remote control dimmers – this includes touch lamps. Very happy with the bulbs and the seller. I highly recommend this product. best price and good item thank you. Very happy with my purchase thank you. Delivery Excellent. Brilliant Service. Great Quality. Quick and easy transaction, many thanks! First Class Service ! Pleasure to deal with ! Top Quality Item ! Delivery in the UK is FREE for orders over £35.00, and is charged at £4.99 for all orders under £35.00.Please note that orders placed on the weekend are dispatched on Monday. All orders placed using standard delivery or free delivery will be dispatched using Royal Mail which is a 2-3 working day service from the date of dispatch. --For non UK and EU countries please email support@mellonshop.com for a quote for delivery of parcels over 2kg in weight before placing your order. --We will endeavour to dispatch all orders within 24hrs but on rare occasions some items maybe out of stock. We will always endeavour to keep you informed of anticipated despatch dates if any delays do occur. When we notify you of the estimated arrival date you will be able to decide whether or not to proceed with the order. --If we are unable to deliver within 28 days of ordering, we will always give you the option of receiving a full refund of any payments made. Where stock is not immediately available we may dispatch a part shipment of any orders at our discretion or wait until we have received shipment of any out of stock items you have ordered, and dispatch the whole order together. Please note that a signature will be required upon receipt of your delivery. --We understand that in certain circumstances you may need to return your order. Mellonshop.com offers 30 days Satisfaction or Moneyback Guarantee.Therefore we ask that upon returning your item, all goods should be securely packaged, including the invoice, within the original manufacturer’s packaging to ensure the items do not get damaged during transit. Please note that return postage will need to be paid for. --We include returns information in every parcel but if you have not received this or have lost the information then please contact us at support@mellonshop.com to obtain a Goods Return Authorisation Number (RAN) so that we are able to process your return. Without either the completed returns slip or RAN, we will be unable to identify the items being returned and may refuse the return. --Additionally If you find your goods are faulty in any way then we will happily replace them or refund your money. We ask that upon returning your item, all goods should be securely packaged within the original manufacturer’s packaging to ensure the items do not get damaged during transit. Please note we can only accept open goods if they are faulty. --Postage costs for return of faulty goods will only be paid for goods sold within the UK. For products sold outside of the UK, customers will be responsible for the costs of returning goods to us and re-delivery of replacement goods under warranty. --After 30 days of receiving, the product can be replaced with the same model but no refund, unless it is out of stock. If you’re unhappy in any way with your purchase, you can return it for a refund, replacement or credit. You may be requested to return the item in its original, undamaged packaging before we process your request. --Non-faulty items returned after 30 days and/or not in their original, undamaged packaging can only be exchanged for store credit - 10% off the items returned. --Items returned within 30 days but not in their original and undamaged packaging will also incur a -10% charge per package. --If you return an item that doesn't adhere to our returns procedure or doesn't include a returns form, you may be liable for a £5 administration feerefund/credit/exchange for a bundle, all items must be returned to us. --Individual items from a bundle can't be returned, refunded or exchanged. If you want a refund/credit/exchange for a bundle, all items must be returned to us. IMPORTANT: We need to be able to identify an item with your order. We can only do this if you follow our returns process. Please do not send us items back that do not follow this process as they cannot be identified properly and will not be replaced or refunded. 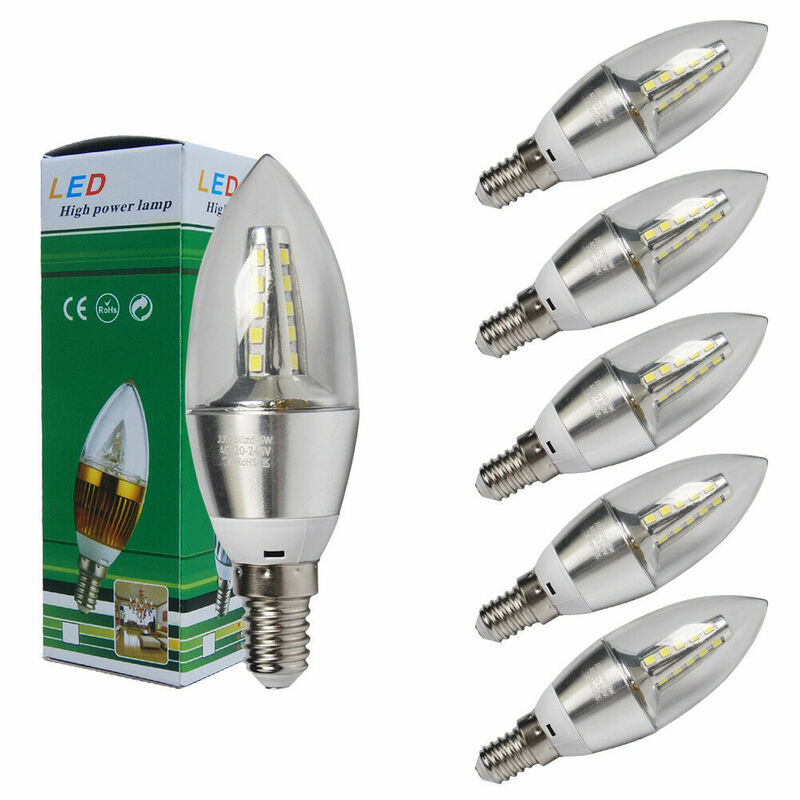 All our led lights can be replaced once with the same model without charging product price if defective within 5 years, but customers should pay the post cost for shipment.